Scientifically formulated for a lower environmental impact, Enviro-Guard supplies optimum melting power and prevents refreezing. It’s gentler on pets’ paws and won’t irritate your skin, either. * The easy-to-see green crystals help you apply the right amount of ice melter exactly where you need it. 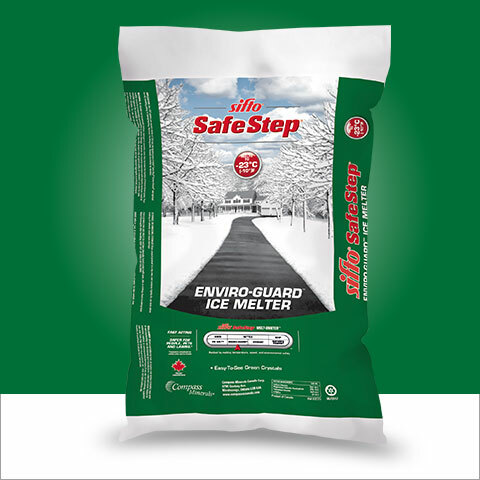 *Compared to conventional ice melters when used as directed. © 2019 Sifto SafeStep All rights reserved.